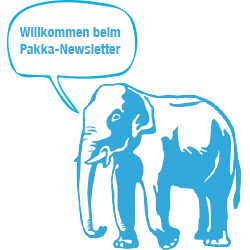 Once a month we send out a newsletter in german to you with news and information on current topics as well as interesting anecdotes. Please feel free to browse it at your leisure. We look forward to welcoming you into our circle of readers and friends! Don’t hesitate to sign up for our newsletter. Have you missed out on one of the newsletters? Here you can find our archived news!